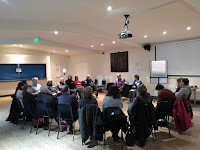 On Tuesday evening we had 20 participants and two trainers at our Difficult Conversations Training session. People came from as far away as Dorset! 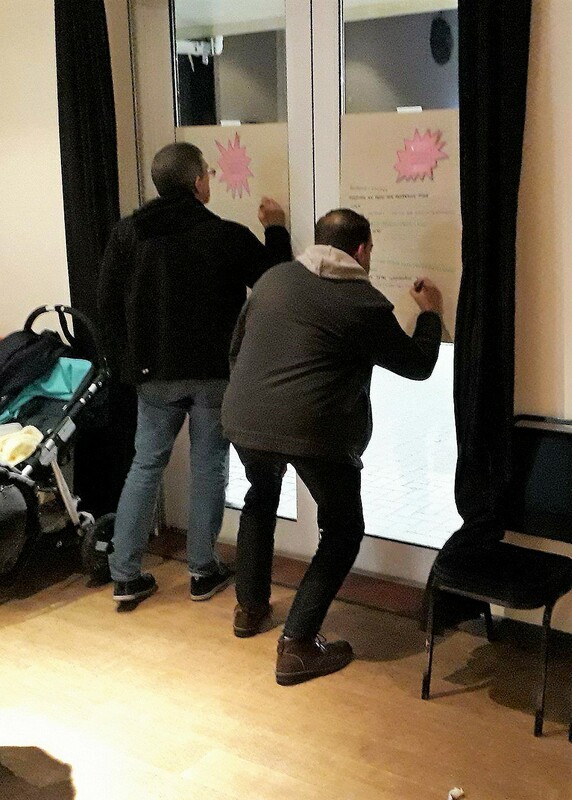 Many of the participants were keen to learn about how to get over the divisions that were created between them and family members and/or friends by different opinions about the 2016 referendum result (in many cases people simply don't talk about the 'elephant in the room' any more to keep the peace). Of course, some participants were also interested in using the information gained for campaigning on the street, engaging with the public. Susie and Hywel, our trainers, took us through several activities that gave us a deeper insight in how communication between humans works and where we might actually be going wrong when talking about highly emotive subjects like Brexit. Communication is never just sending 'pure information' (facts for example) from one person to the other. How a message is sent and received is influenced by basic things like body language, tone, selection of words used, but also more complex issues like the relationship between participants, beliefs held, experiences, etc. Most importantly, to have a successful exchange about a discussion topic, it depends on how open we are to what the other person is actually saying or trying to say and how we react to that. If one side is simply not willing to listen (for example by always changing the topic), a conversation that will satisfy the needs of the initiator will not happen. In that case it might be best to accept that an exchange is not possible and to agree to disagree. This of course is often psychologically hard to bear, especially with family members or good friends, as it can cause feelings of despair, loneliness and powerlessness, and in the worst case depression. However, if the right techniques are used, a conversation that would normally fail could result in a better outcome, so that at least both parties are feeling that they were heard and no side feels they 'lost'. Our trainers showed us that there are effective ways of stopping a conversation from blowing up or becoming one-sided. Part of that is to use different types of questioning techniques, to actually find the common ground that often even exists when positions seem to be worlds apart. The other important pillar for being heard by others is to work on effective persuasion and influencing skills. The group did some mock Brexit discussions and tried out what was learnt so far. An outcome of this activity was that as a successful participant in an argument, you always have to not only have your own points in your mind but also what the other side might be coming up with, and how to engage with that (not necessarily counter it!). This in essence also puts you into an observer position, as you have to watch the whole time what is going on, to come up with the appropriate reaction. Instead of simply disputing 'EU facts', quite often it might be better to ask in detail about why somebody felt they wanted to leave the EU, to question with them whether these reasons were really caused by the EU or whether they are actually home-made. A discussion like this should yield some common ground which connects people rather than divide them further. Once that is established the issue can be reframed and made personal. 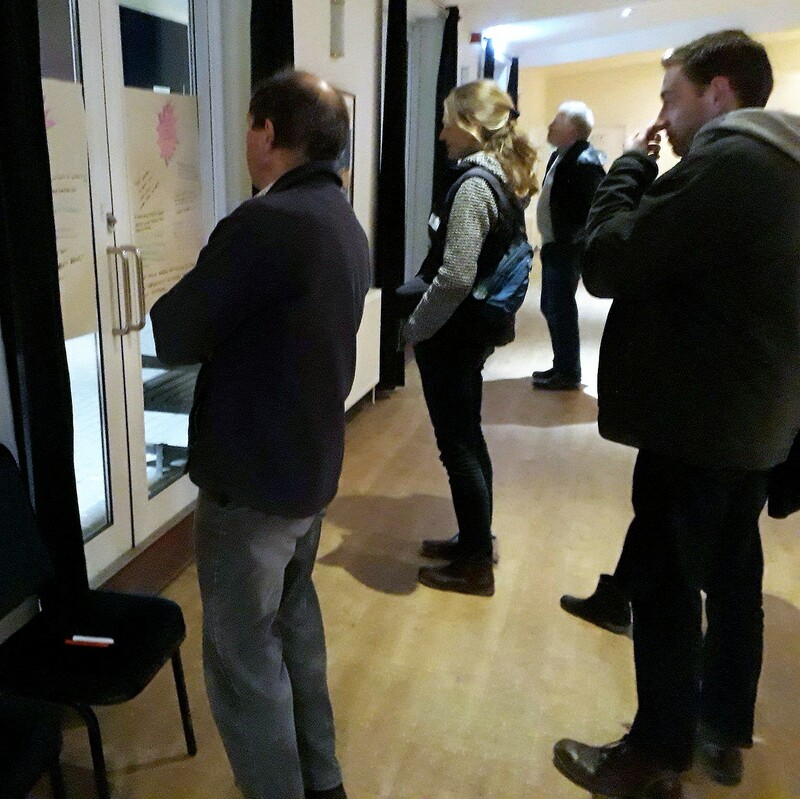 Many of the participants were experienced and passionate, and there was a lot of sharing practice between the group. Some good tips and tricks were exchanged, giving people tools to use in their difficult conversations in the lead-up to Christmas. The evening gave all participants plenty of food for thought, and some of the non-British participants realised during the session that there are also still some cultural differences they hadn't yet understood, despite being in the UK for a long time. Please find further information about what was talked about and the techniques mentioned in the materials used and handed out on the evening. They can be downloaded here. Many thanks to our trainers, they did a wonderful job, and to everybody else who helped out! Also many thanks for money contributions, we were able to cover all of the costs! 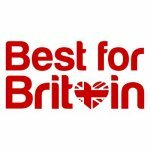 Volunteers from Winchester made this happen, with the support and resources of Best for Britain! 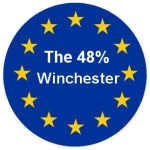 Training organised by Win-IN, supported by The 48% - Winchester, Best for Britain, and the European Movement.